Jefferson Air Photography had the great privilege to fly famous American Alex MacLean on a tour of Wales during September to look at conservation issues that are affecting the landscape. Pilot and photographer Alex MacLean has flown his plane over much of the United States documenting the landscape. Trained as an architect, he has portrayed the history and evolution of the land from vast agricultural patterns to city grids, recording changes brought about by human intervention and natural processes. His powerful and descriptive images provide clues to understanding the relationship between the natural and constructed environments. MacLean’s photographs have been exhibited widely in the United States, Canada, Europe and Asia and are found in private, public and university collections. He has won numerous awards, including the 2009 CORINE International Book Award, the American Academy of Rome’s Prix de Rome in Landscape Architecture for 2003-2004, and grants from foundations such as the National Endowment for the Arts and the Pulitzer Center for Crisis Reporting in 2014. MacLean is the author of eleven books including, Up on the Roof: New York's Hidden Skyline Spaces (2012), Las Vegas | Venice (2010), Chroniques Aeriennes: L'art d'Alex MacLean (2010), Alex MacLean: Given a Free Hand (2010), OVER: The American Landscape at the Tipping Point (2008), Visualizing Density (2007), The Playbook (2006), Designs on the Land: Exploring America from the Air (2003), Taking Measures Across the American Landscape (1996), Look at the Land; Aerial Reflections of America (1993) and Above and Beyond; Visualizing Change in Small Towns and Rural Areas (2002). MacLean maintains a studio and lives in Lincoln, Massachusetts. 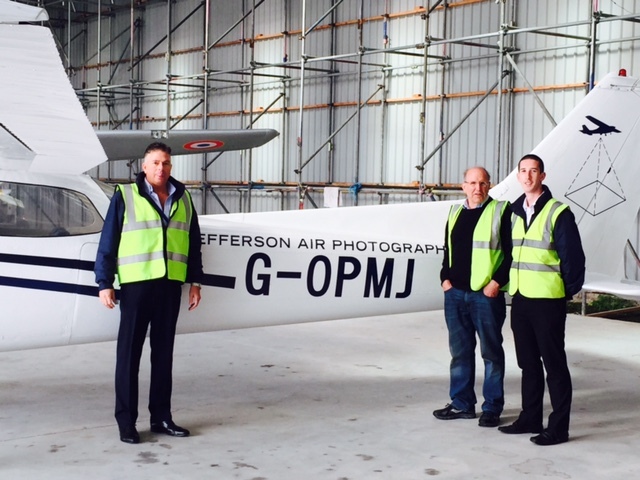 Jefferson Air Photography has strengthened its team of key personnel with the appointment of Pilot, Alex Ramsay. 22 year old Alex has been flying from a young age and had his first flying lesson on his 12th birthday. He went solo on his 16th birthday and obtained his pilot’s licence before his driving licence! Alex started his ATPL (Airline Transportation Pilots Course) at aged 18 and completed it aged 19 with Oxford Aviation Academy which included 6 months flying out in Arizona, USA. He now has in excess of 500 hours total flying time on 7 different aircraft types including both single and twin engine aircraft. 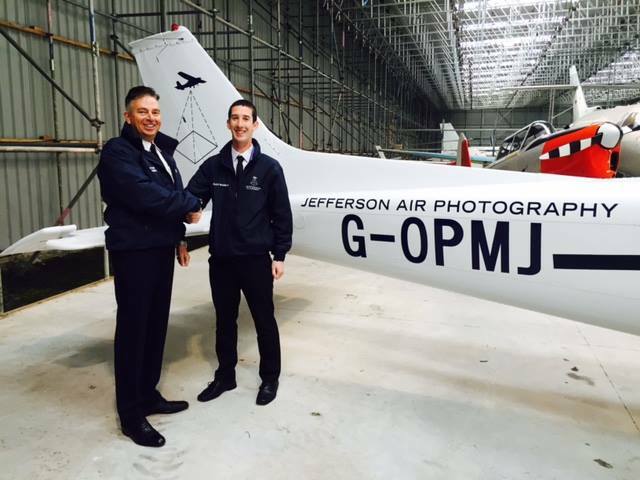 Jefferson Air Photography, owner / pilot, Alistair Chadwick commented “I am delighted that we have been able to recruit such an outstanding and experienced individual. Alex brings enthusiasm, flexibility and professionalism to the business. His airmanship skills play a vital role in our continued development and future growth”. JEFFERSON AIR PHOTOGRAPHY HAS A NEW ADDITION TO ITS FLEET! 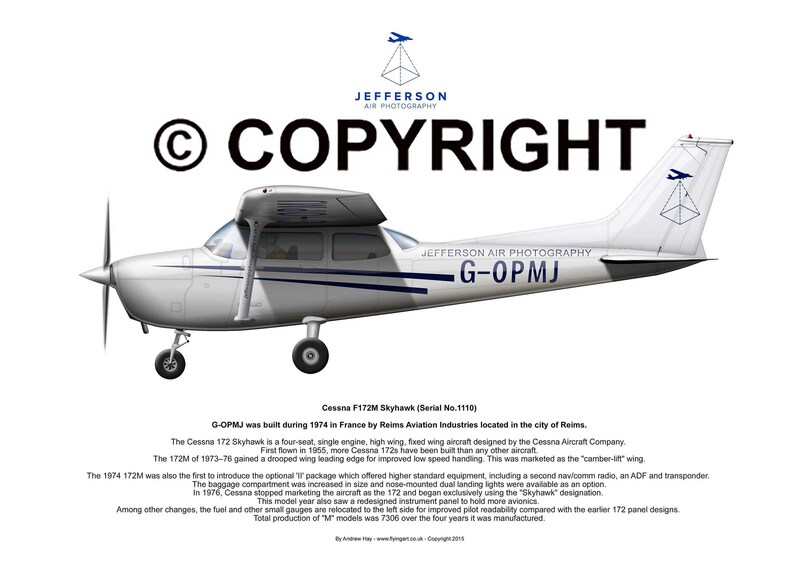 Cessna 172 Skyhawk (G-OPMJ) was ferried from Devon to it's new home at Hawarden (Chester) this month by pilots Alex Ramsay who holds his Commercial Pilots licence (CPL) and Alistair Chadwick, the pilot / new owner of Jefferson Air Photography. The Cessna 172 is a four seat, single engine, high wing, fixed wing aircraft and this particular aeroplane was built in the city of Reims, France in 1974, designed as a civil utility aircraft with an excellent reputation for reliability and good low speed handling. 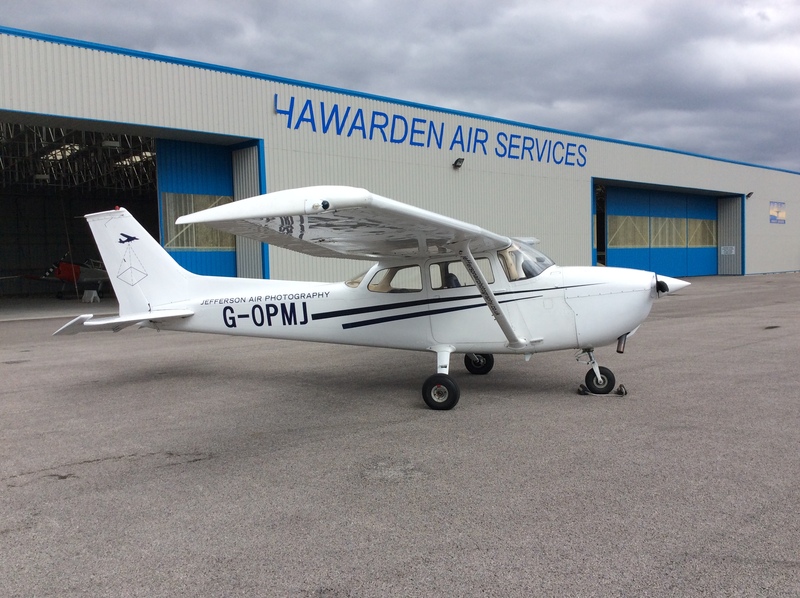 Commercial Pilot, Alex Ramsay, was pleased with the all-round performance of this 'old girl' during the transit to Hawarden even though the aircraft is almost twice his age! Owner Alistair Chadwick commented, "Despite this being an 'old timer' it still looks a great aeroplane and has been well maintained over the years with plenty of life left to serve, ultimately as a workhorse for the aerial photography business".